Usually the manufacturer offers dozens or hundreds of types of soldering tips for different soldering applications, users can choose from the list. Sometimes the unified size cannot meet the requirement well, in this case you need to custom made the tip so that it can fits the working application. Asking to original factory may be fussy and the lead time is pretty long (at least 2 months)! We have 30 years experience in manufacturing soldering tips, our target market is middle level market for soldering iron tips and high level market for soldering robot tips. We can make almost all the tips for you. Experienced engineers and well trained workers, advanced equipment make the tips in accurate size as the expectation. Unique plating technology makes the usage life much longer than normal plating. Most of tip’s stucture is like that, however, the plating formula, Degree of uniformity and thickness will influence the quality. 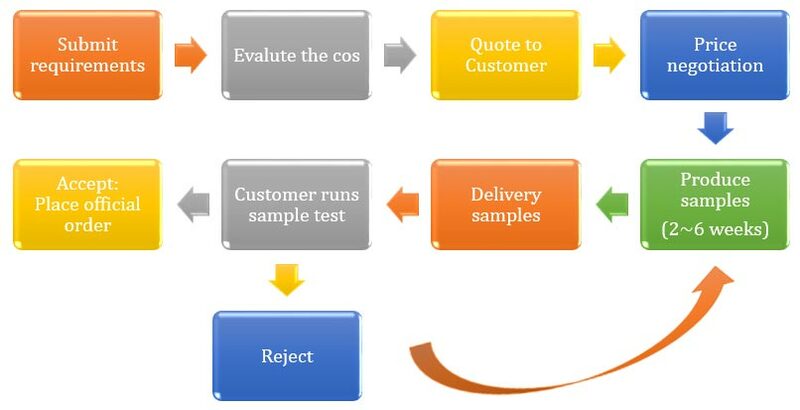 Sophisticated quality management reduces the rate of replacement, and saves customers’ time. We are dedicated in developping high-level soldering robot tips, aim to become the number 1 manufacturer in the world. If you are looking for the soldering robot tip OEM manufacturer, you’ve found the right company. We can make soldering tips for soldering iron and soldering robot manufacturers to save their cost and energy. If the tips you are using are special, we can make according to your drawing or sample. 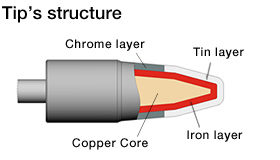 Contact Us if you need to OEM or custom made soldering iron tips, we will do our best to satisfy your requirements. basic materials we use: copper, iron plating, (nickel plating), chrome plating. technical data we need: a drawing which includes all the needed size. Soldering temperature, to make the best tips for you.